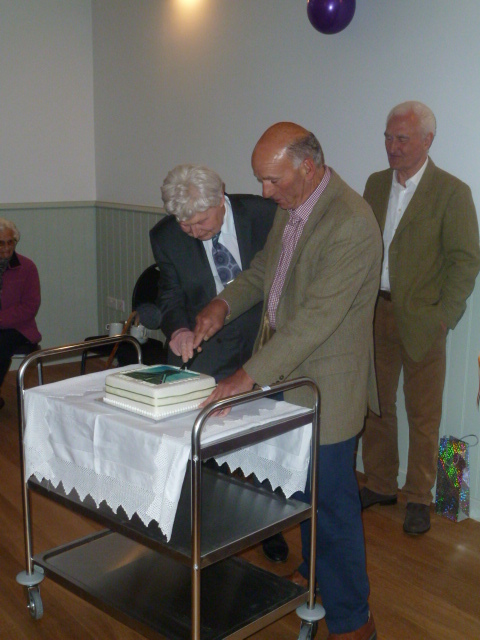 On June 17th a party was held in the newly refurbished Philleigh Community Centre. Eighty-four people attended, including children who enjoyed a treasure hunt. Two huge paellas were cooked outside by Rob Wing and Phil Robinson and the feasting was followed by a ceremonial cake cutting by the two trustees Jim Pascoe and Stan Osborne. In his speech, Chairman David Wilcox thanked all the people who had worked so hard to make the refurbishment happen and also the BIG Lottery Fund for the grant which enabled the project to take place. Regular activities and one-off bookings are already happening at the Community Centre. We have a Table Tennis Club every Wednesday evening and a new film club will begin in the early autumn.